Goodbye, old friend, I'll miss you terribly. We've had a great four years together and seen a lot of water between here in Florida and our time in the Caribbean. You've been the best flats boat I've ever owned and I really don't want to sell you, but I just can't hang that awesome new Yamaha 70 on your transom. I know you're strong enough to handle it but the Coast Guard says I'm not allowed to make you go that fast. Stupid Coast Guard. Sure, they're pretty good at all that saving lives in hurricanes and fighting drug smugglers on the high seas stuff. But other than that, what do they know about boats anyway? 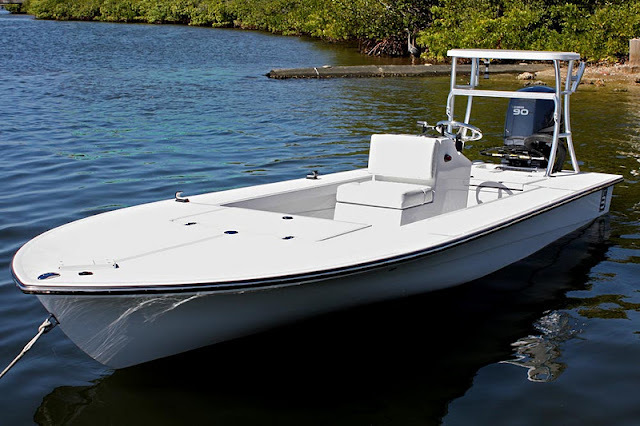 I know you're going to love your new home in Islamorada. 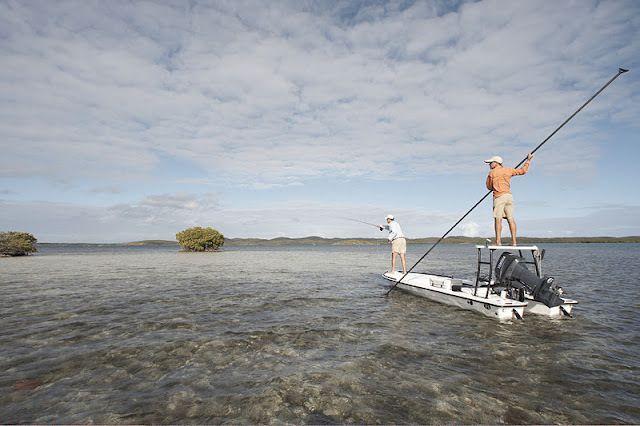 Think of all the big bonefish you'll get to chase down there. You loved chasing bonefish when we first got together in Puerto Rico. There's even more of them in the Upper Keys and some huge tarpon and permit, too. You and your new owners are going to have a blast together. Please don't be mad at me for hooking up and moving on with your younger sister. I know she's not as skinny as you, but just look at her curves. She's so damn hot! I just can't help myself. So goodbye, B2. And hello, BT3. Can't wait to see you next month.